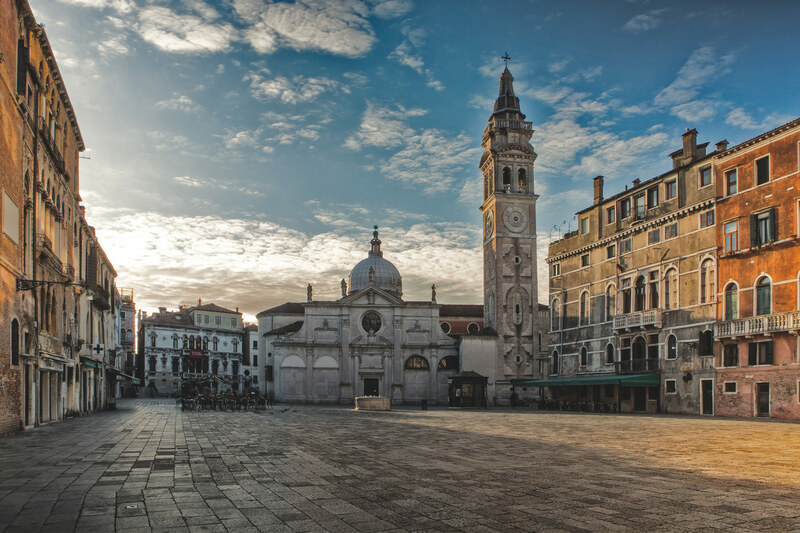 Why did the Venetians build their city in such an unlikely place? And how ever did they succeed in doing so? These are the central questions architect and historian Richard Goy poses in his introduction to newly published Dream of Venice Architecture. The first is easy to answer. The first Venetians settled in the lagoon to escape the violent breakdown of the Roman Empire on the mainland, wrote Goy. But how, amid the muddy shoals of a brackish lagoon, did they manage to build such a strange and extravagant city? It is a question that can inform, inspire—and haunt—an entire architectural career. Architects know exactly how hard it can be to build on terra firma, let alone tidal flats. Yet they instinctively understand that the most compelling built forms tend to coalesce around seemingly impossible challenges. Dream of Venice Architecture—edited, published, and with a preface by JoAnn Locktov—gathers 35 very short essays in which some of the world’s leading architectural minds, including Tadao Ando, Mario Botta, Jürgen Mayer H., and Witold Rybczynski, attempt to grapple with the strange and miraculous-seeming city. They alternately recount their obsessions with Venice, reflect on the ways it has infused their own practice, and propose ways to infuse it with new life in the 21st century. William Menking, founder and editor-in-chief of The Architect’s Newspaper, is among the contributors. Each essay is accompanied by a single, exquisite image by Riccardo de Cal, a Venice-trained architect, photographer, and filmmaker. De Cal has managed to capture Venice in surprising and often poignant ways—no easy task in this postcard of a city. “What can we learn from a city that is over 1,500 years old?” asked Locktov in her preface. A great deal, apparently. For Ando, work on the Palazzo Grassi and Punta della Dogana reoriented his entire attitude toward architecture’s scope. For others, Venice has served as a kind of liminal space where the real and imaginary have been forced to meet. New York–based architect Louise Braverman equated the “unanticipated, variegated pleasures” of Venice with the architectural encounter itself. What is next for Venice itself? With luck, more than just fetishistic preservation, according to architect Frank Harmon. In imagining a future for Venice, the essays also return again and again to the work of Venetian-born Carlo Scarpa as a model. Why? Because Scarpa’s projects—including the Olivetti Showroom on Piazza San Marco and the ground floor and gardens of the Palazzo Querini-Stampalia—are utterly contemporary both in form and materials even as they weave themselves harmoniously into an ancient and multifarious city. 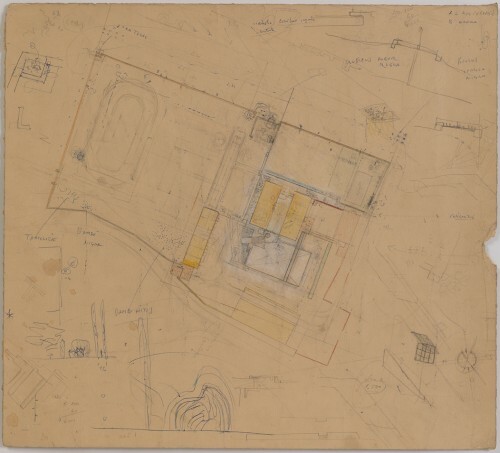 And Valeriano Pastor, professor of architecture at the University of Venice, singles out the stone-lined canals that Scarpa places along the perimeters of the palazzo’s ground floor. They graciously accept, then expel again, the high tides that once threatened this flood-prone space. NOTE: A portion of the proceeds from Dream of Venice Architecture will help support architectural programming at the Fondazione Querini-Stampalia.